There is just something about beautiful words, illustrated in a beautiful font in a beautiful way. Gets me every time! 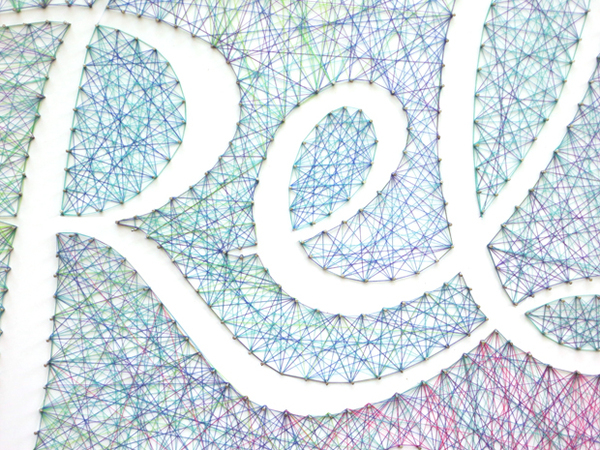 Australian typographer Dominique Falla has created this HUGE typographical piece titled "Relax and Unwind" with thousands of pins and hundreds of meters of coloured string. 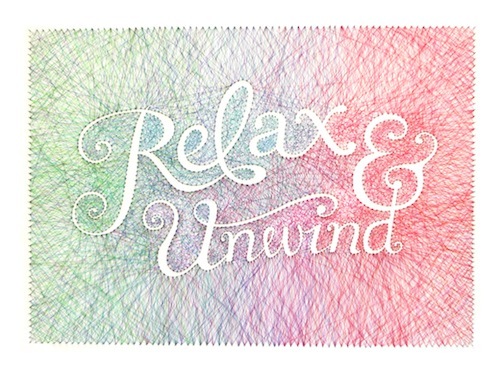 Lordy - I can't imagine it would be too relaxing - unwinding all of that though! 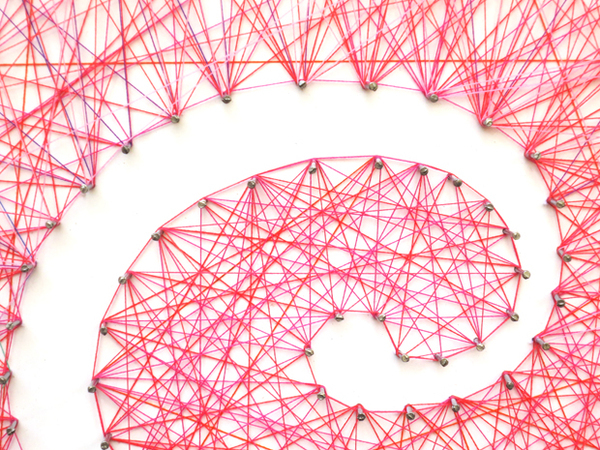 Hi Niki - that's cool! you could do it on a piece of board and just hang it...could be a little winter project!